itch.io Community » General » General Discussion · Replied to soapbubble in What can we, as devs, do to help Itch.io expand? The game looks great, love the theme. Really looking forward to this now. itch.io Community » General » General Discussion · Replied to Paul Helman in What can we, as devs, do to help Itch.io expand? itch.io Community » General » General Discussion · Replied to rogerty in What can we, as devs, do to help Itch.io expand? 14 tries in 6:11 time. pretty good game, actually quite inspiring, you pretty much hit all the marks on this one. Nice game so far! Makes me want to do more Zelda-likes! 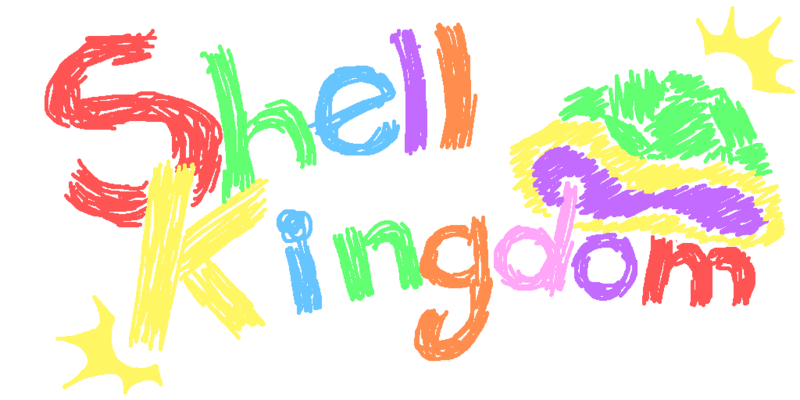 Shell Kingdom is a game where you go on a small adventure with a bunch of turtles to try to take back your island. Control many turtles at once to solve puzzles, use the environment to create formations, and engage in combat with armadillos. The game can be thought of as a "mass" game like Kirby's Mass Attack or a light-RTS like Pikmin. Features a "paper" style aesthetic and a small story. Thank you very much! We'd love to keep making it and are planning on doing something with it after we finish up our current project! We'll keep you posted! great way to end the work day! Thanks! The aiming was really off. I programmed the game in a bit of a backwards way where I started with things like level management, dialogue system, persistency/saving. Only threw combat in half way through the jam and it just never got good. Usually I'd start with the combat and add all the other stuff later. But this time Alex and I wanted to make as much of an Ocarina of Time/Megaman Legends style game as we could in the short time frame. Which is why we ended up dividing the work the way we did, working on parts in an order that would least impede the others' work. It was really fun to do this, partially because I rarely get to work on those kinds of systems (the other part being I just want to make Zelda games). Mind you it really doesn't make sense (I think it annoyed Ian a lot). A lot of it felt like it was close to not getting used. Like why do a save system first if you never know if you're going to need it? If we were to continue developing the game, I'd definitely throw out the combat system and start from scratch. Actually I was thinking about ditching it on the final day of the jam and making it more of a collect-a-thon/NPC talking fetch quest game. In the end though we rushed in the combat. the level with the 5 orange (6th last maybe?) is really satisfying when everything turns blue. also the credits are fun. I had a lot of fun making this game. Usually my jam games involve doing a random gameplay gimmick. This time around, Alex and I decided we wanted to try to make as much of Ocarina of Time as we could in 48 hours. By ditching a gameplay gimmick and instead doing a development gimmick, I kind of re-found my love for developing games. This game really reminds me of something I would have wanted to make when I was first starting to make games with ZQuest when I was 11 or GameMaker when I was 13. The game itself doesn't have much to it, the gameplay was thrown in last minute. But there's a certain charm for me to make a game like this. My development process was a bit backwards. Instead of starting with gameplay, I started programming the level management system, persistency system, and dialogue system. Because of this the combat is extremely lacking. I don't think I would do this again, but I do believe it was a good approach for our goal (which was more to see how much we could get done in the time frame). Also now I can make more adventure games in Unity without having to do all the tedious programming!